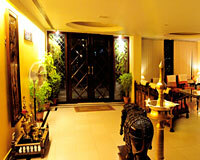 Hotel Royal Inn is situated on the world-famous Brindavan Garden (KRS) Road. Royal Inn is a nice hotel that dominates the area with its spectacular white building and landscaped garden and waterfalls. 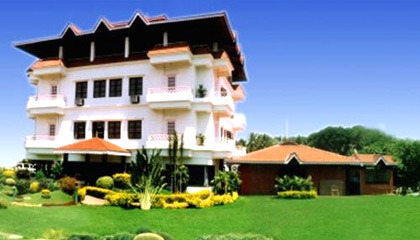 It provides world class luxuries at cheap rates and is touted as one of the best hotels in Mysore. 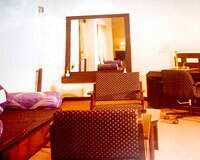 The hotel offers everything to suit the requirements of travelers, making every stay enjoyable. 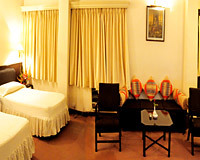 With a range of services and amenities, Hotel Royal Inn is a great place to stay and enjoy a holiday in Mysore. The hotel offers well-appointed accommodation in its 18 Rooms, having private balconies overlooking Chamundi Hills. 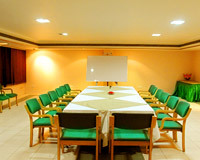 All these rooms are equipped with modern amenities. 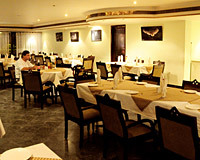 The Restaurant: A place to relish a variety of food from different cuisines. The Bar: A relaxing place to sip amazing cocktails and mocktails.